The age of smart phones is a very dazzling one. Every year, boundaries get pushed farther and farther . New concepts are discovered or implemented, technology advances, and whole new worlds are discovered. Many people look to Apple to find the latest in smartphone design, but the world is far bigger than that. There is a whole world out there that is being explored and worked on. That world is about to get a little bit bigger. Samsung has long since been a member of the smartphone race, and information has just been leaked on their newest design. The Galaxy S8. New designs are being implemented into the Galaxy S8, first and foremost, a new screen. Older Samsung models placed touch sensors between the display and the protective glass. The Galaxy S8 looks to change that up, placing the sensors directly into the display itself. This is something that would enable the Galaxy S8 to be much thinner than its predecessors. 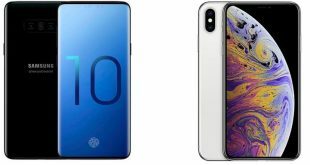 It even may help cut production cost, as well as keep the production of the phone more “in-house.” On top of this, there is no longer a physical home button, and a fingerprint sensor is build into the screen. The Galaxy S8 will utilize the same technology that was used in the Note 7. Because of the loss of the Note 7, Samsung finds themselves in a precarious situation. Not only do they have less user feedback to work with, they need to inform users about the value of the technology. They can’t rely on them already knowing. It is estimated that the Galaxy S8 will be released in February of 2016. If it is, we will find out before too long if it can make up for the problems faced by the Note 7. Either way, it will be very interesting to see.